Where and How To Make Money Online: A Full Overview | Let's Biz Up! You can automate them almost 100%. Also we will include a lot of affiliate marketing programs so you have an idea where to go. Think of affiliate marketing as commissioned-based sales, a sort of franchising. A company creates a product and commissions people to sell it for them in exchange for a percentage of the sale. Amazon, Zazzle, Best Buy and other major retail outlets have affiliate programs. YES, you can set up an account with say, Best Buy, start selling flat Laptops or iPad’s, and earn about a 4% commission. It is the affiliate marketer’s job to send people to an offer of Best Buy, and if that prospect buys, they earn a commission. Everybody can do it! Learn it and Earn it! After fooling around with well known programs like eBay and Herbalife, I wanted to grow faster and earn a more stable income. Affiliate Marketing was there to my rescue! I did not give up, earning now a real and sustainable income per month. To succeed with affiliate marketing you need a lot of website Traffic to sell affiliate products. It’s like people passing by a shop, a few enter the shop and maybe 1 or 2 buy a product. 1000 people come to your website. The average sales conversion is about 1%. If you sell a $1000 product (TV, computer) for a 4% commission, you earn $40. If you sell one per day, every day, in a 30-day month, then you earn $1,200 per month. Not bad! Don’t you think? So the next question is, how do you get 1000 people to visit your site every DAY? Remember, in order to earn that $1200 a month, you must have about 1000 people coming every day to your website. Consistently! The honest answer is, it’s a lot of work, planning and sometimes, cutting your losses. It is about finding what marketing technique works for you. If you stick with it, you will learn a lot, and can potentially earn money. But you can also earn a little bit, say $500 a month and start over with another site. Imagine building 10 sites, all bringing in $500 or more per month. It’s possible. Let’s look now to some programs that offer the possibility to make money online with or without affiliate marketing. *Most of the listed programs below I’ve had personal experience in (win & loose). Results are not typical and the average earnings are typically found within each program. Learning how to make extra money isn’t rocket science but it is a career path that you can take on part-time as long as you focus. ClickBank is an online marketplace where affiliate marketers and companies can promote their products. Clickbank provides information such as the price of the product, the percentage affiliates receive when they sell it, how popular the product is, if you get recurring commissions and other details. 3. Create a capture page (for email of your cusomer). 4. Create a sales page for the product. 5. Create a series of emails that offers info about the niche/product. 6. Promote the product to your email list or advertise on Facebook, Twitter, Google, etc. 7. Make sales, Earn Money! So you are the Affiliate, promoting & selling the product of somebody else, the Product Creator. 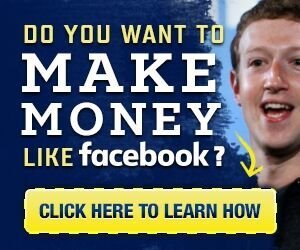 For doing this you get paid a commission for each sale you produce.ClickBank is a very popular affiliate concept because it is so easy to use and everybody can start with it. Just follow the steps explained in their Support center. Maybe you wondered how people make money with Amazon? First create an account at Amazon Associates. This is the affiliate program of Amazon. It’s also very simple and somehow comparable to ClickBank. While ClickBank is generally associated with digital products, Amazon let’s you also sell and earn money with physical products. And because people generally buy more than one product (which you make commission on), you get also the commissions on the products they buy within the next 24 hours. You won’t believe how well Amazon products sell, especially during Holidays like Christmas, Valentine’s Day, Back to School, etc.Generaly Amazon pays out a 4% commission but this can increase as you become more successful selling your stuff online. And besides selling other people’s stuff, you can also start selling your own stuff on Amazon. E-books, software, courses, etc. Let your imagination do the work!Amazon is free to start, you don’t need to worry of an inventory and for a start-up this is also a perfect platform to get experience on doing business online.But as mentioned before the commission fee is low… Just imagine you established gross sales worth of $100.000 and you only get paid about $5.000! No, for me this is not a full-time occupation. Maybe with some popular products but not as mainstream income source. If you are the creative type and you want to sell your services, then oDesk or Elance are a good source of income. These are online outsourcing websites. You can be a freelancer, an employee or join a team of freelancers. Also, you can create your own team of people here to help you out with your work. If you have a skill, you can find a gig for it! >>> We have special training about this subject which you can access here. Another website to offer your services or hire someone, is Fiverr. You make $5 bucks per jog (minus &1 fee) and you can add extra job options at $5 intervals. Why work that cheap? What is the benefit? You can rack up more work, especially if you create a system to get it done faster. You can pick up better-paying gigs. You can put together a package, and then send a download link when someone orders (photos, articles, videos, etc.). It will take you a minute to do the work. You can gradually raise your prices. You can build an army of inexpensive labour to help you get your work done faster. This popular website is well-known for attracting artisans from all over. If you want to know how to make extra money using your creative ability, then check out Etsy. Incidentally, if you love Pinterest as well, then Pinterest is the perfect place to market your Etsy store. Commission Junction, just like ClickBank, is an affiliate marketing marketplace. Commission Junction offers a lot of physical products. It also offers events and services. ClickBank offers more digital downloads, while Commission Junction offers a lot of other items. Commission Junction has some large brands on its system, like Weightwatchers, Western Union, Yahoo, etc. Linkshare is an affiliate marketing program. You can market a lot of physical products, and they also have big box retailers like Macy’s, Starbucks and Office Depot. You must go through a screening process. Linkshare will check out your website and if you pass, you can start marketing. We all know about eBay. There are so many ways to make money on eBay. You just have to pick out what’s trending or popular, buy low, sell high. Buy things on clearance, at the end of the season, sell them for a nice profit. Garage sales are gold mines for eBay. Some broken electronics, old electronics, sell well. Niche products, like t-shirts for biker chicks. Note: You make your money when you BUY not when you sell. Buy as low as possible. DO YOUR RESEARCH! ShareASale is an online marketplace, like Commission Junction & Clickbank, that brings together businesses that can benefit one another. It is unique in that it only promotes retail companies. ShareASale has been in business now for 14 years, exclusively as an Affiliate Marketing Network. There are over 3500 companies to choose from and it is free to sign up. This is a very cool 1service, where you can offer advice on your area of expertise via live video. With Helpouts you can get help anytime from people with expertise across a range of topics – teachers, counsellors, doctors, home repair specialists, personal trainers, hobby enthusiasts, and more. Let’s say you are an interior designer. You can charge by the minute or half hour, and actually give a person advice in real time. They can even show you their home, if they wish, and ask for your advice. This is basically a snippet of code that you put on your site. It will show ads, track how many people viewed and clicked on the ads on your site. You will get paid based on the going rate for clicks in that niche. Making money on Google Adsense can take time, but plenty of people have made some money. Check out this comprehensive article giving you the lowdown on how to make extra money with Google Adsense. Get a consistent following and a lot of viewers. Monetize your account by activating the monetization option. Set up your Adsense account. JVZoo and is a wonderful place to sell products. It’s a renowned website where internet marketers sell their self developed products and you can sell them too as an affiliate. And ff course you can also develop your own product and let others promote it… It’s a win/win system! There are no out-of-pocket costs to become a JVZoo seller. You can create as many buy buttons as you like and add as many projects as you want to their marketplace! And it is free to become an affiliate at JVZoo. You will have instant access to all of their affiliate tools and training. You can start up here. What do TeeSpring, Teezily, Zazzle and CafePress have in common? They are all print on demand. In other words, you can create art or graphics, put them on products and these products are not manufactured until someone orders them. No upfront cost needed. The company takes their cut when the customer pays. Just design e.g. a shirt, set a price, add a goal and start selling! Collect enough pre-orders and the shirt will be printed & shipped directly to buyers, you keep the profit! Teespring is in this field the most experienced company but is mainly focussed on the USA & Canada, although they also ship worldwide. For European T-Shirt deals you can use Teezily or also Fabrily. A useful software tool to boost your T-Shirt sales you can find here. This affiliate program provides a unique way for your website or app to link to millions of songs and thousands of apps — as well as books, movies, TV shows and more while earning commissions on qualifying sales. Join the program and earn commissions when you link to music, apps, books and more on iTunes, App Store, iBooks and the Mac App Store. Available internationally, this program includes links you can use, as well tutorials and support. Click the link to be taken to the iTunes Affiliate Program. Shopify is a very useful tool to design a beautiful online store. If you have multiple products to sell like T-Shirts, Pendants, Stickers, Software, E-Books, etc. Shopify will help you to put everything into one “store”. Get your 14 days Free Trial here. It’s like creating your own webshop through easy to use website templates. Every website template comes with its own settings so you can quickly and easily customize your website’s design. The Theme Settings editor lets you preview your storefront as you’re making changes to it. Shopify was the first hosted e-commerce website solution to use a Content Delivery Network. A CDN is a large network of servers placed across the world to ensure your customers can load your website store quickly, no matter where they are. >> Also read the 10 Ways to boost your Sales!